After taking his first Supercars win in his 227th race yesterday, Tim Slade has backed it up to become the second double race winner of 2016. A strategy-fuelled 200km race meant it was a guessing game mid-race as to whether he would lead the field after his final stop at Winton Motor Raceway. But in another engineering masterstroke from Brad Jones Racing, Slade pulled out of pit lane ahead of 2015 champ Mark Winterbottom and continued to build his lead, which stretched out to 6.68 seconds. “226 starts, two in one weekend, pole and quickest in practice – I hope this isn’t a dream … and I don’t wake up!” Slade said. “Thanks to Freightliner and BJR crew, couldn’t do it without them they’ve given me a rocket again. The 30-year old suggested he should stay and help the team clean his car after his post-race celebrations. A second place finish was a win for Winterbottom, who takes the Championship lead by after a solid weekend at the team’s test track. “That is awesome,” he said. 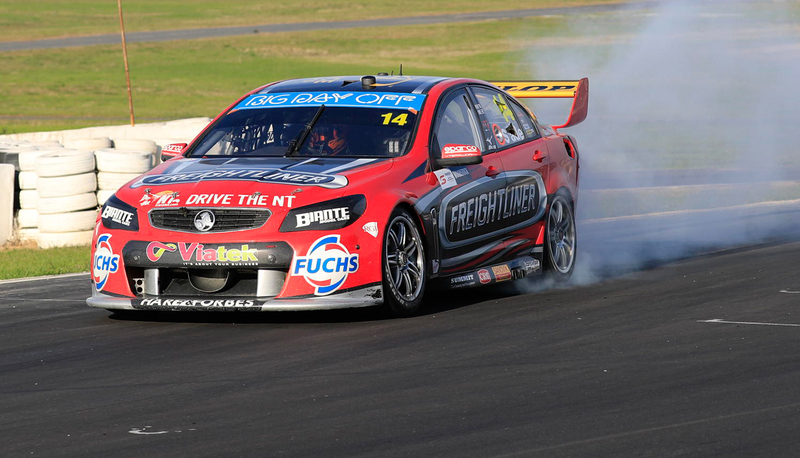 Fabian Coulthard was pleased with the recovery to third after a challenging day yesterday. After flying off the line, Coulthard’s start was under investigation, but the DJR Team Penske driver was cleared of any wrongdoing and came home third, showing more promise for DJR Team Penske. 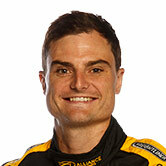 Shane van Gisbergen and Cameron Waters rounded out the top five. David Reynolds was on a mid-race charge to take home sixth, passing an off-track Scott Pye on the final lap, while Craig Lowndes looked good early but nursed a broken header to come home eighth. It was a horror day for Preston Hire Racing with a pit stop under investigation before the Commodore stopped stranded on track to trigger the first Safety Car since Phillip Island. Some stopped under Safety Car to take the three-stop strategy, which created plenty of questions mid-race. Pole man Chaz Mostert later made severe contact with James Courtney – while the #22 was patched up and sent out, he lost 13 laps and had another challenging weekend. 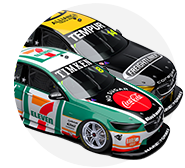 The Supercars next hit the track for the Darwin Triple Crown from June 17-19.